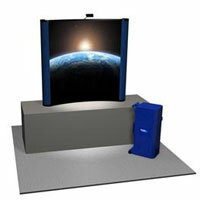 portable trade show pop up displays . 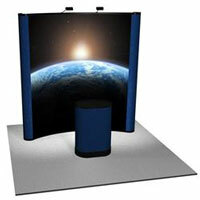 We offer portable trade show pop up displays in a variety of sizes, models, and colors. With over twenty years of experience in the trade show display and exhibit industry, everything you will need in easy-to-ship, easy-to-set-up, eye catching portable trade show pop up displays and accessories is available for you at prices that are hard to beat. All of the pop up display frames and channel bars come with an unconditional lifetime warranty. Setup for the popular ten foot pop up display is super-easy and can be done in less than 15 minutes. 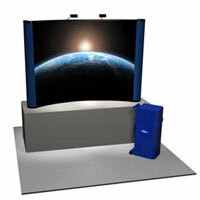 End panels are standard on all 10' trade show pop up displays. If you are looking for trade show pop up displays that will deliver when you need it, look no further. The Laarhoven Design line of trade show pop up displays have a 25 year proven track record of results, service, and commitment. Compare our features and benefits to any other manufacturer! 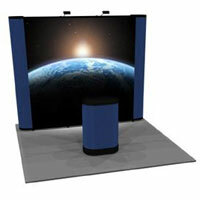 All trade show pop up displays are also available as a rental exhibit, or on an as needed basis. Short notice is no problem. Custom made to order with shipping direct from the factory, you get the best quality product at the best price with service and attitude that is second to none. Let our attention to the details work for you and increase your trade show return on investment. Business Services For U is always here to help you with any aspect of your trade show displays challenge.